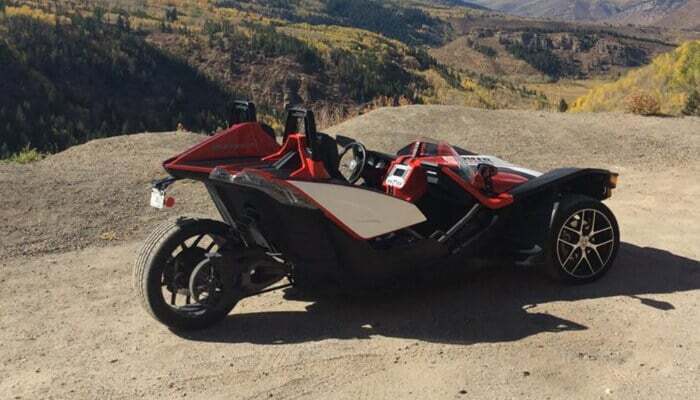 When Polaris first introduced the Slingshot, they were looking to once again push the envelope on fun recreational vehicles. 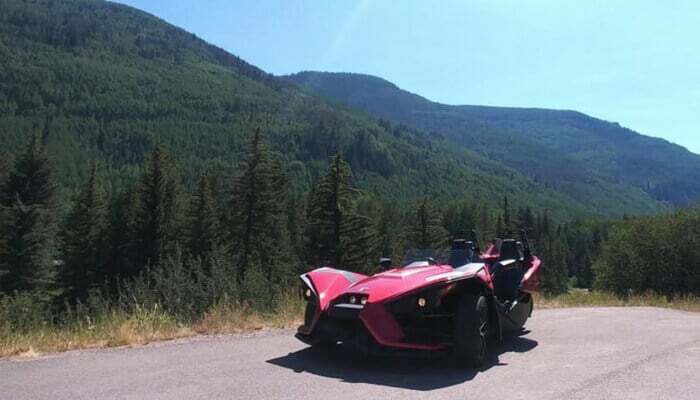 After taking the Slingshot SL for a test drive here in Vail, it was obvious that anyone who enjoys driving tours needed to do this for themselves. 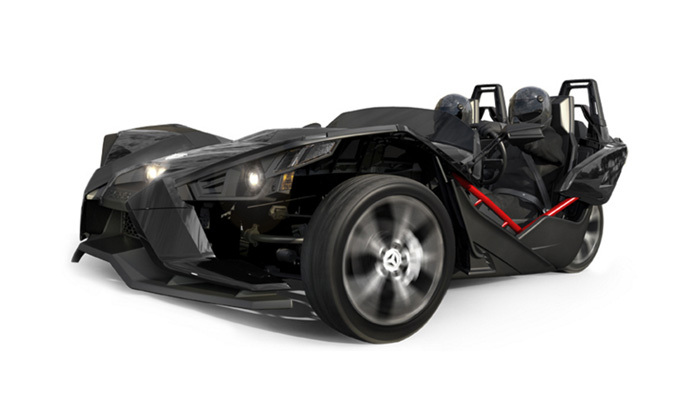 The Slingshot is a two-seat, 3-wheel motorcycle with the muscle of a roadster. The Polaris Slingshot is a road-hugging, drifting machine and was built specifically for adrenaline junkies. 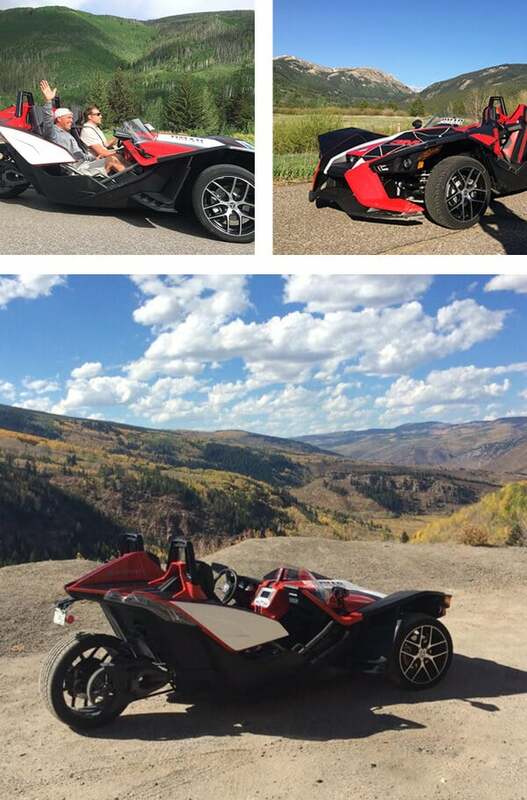 There is simply no better way to experience the Colorado countryside than on a slingshot. 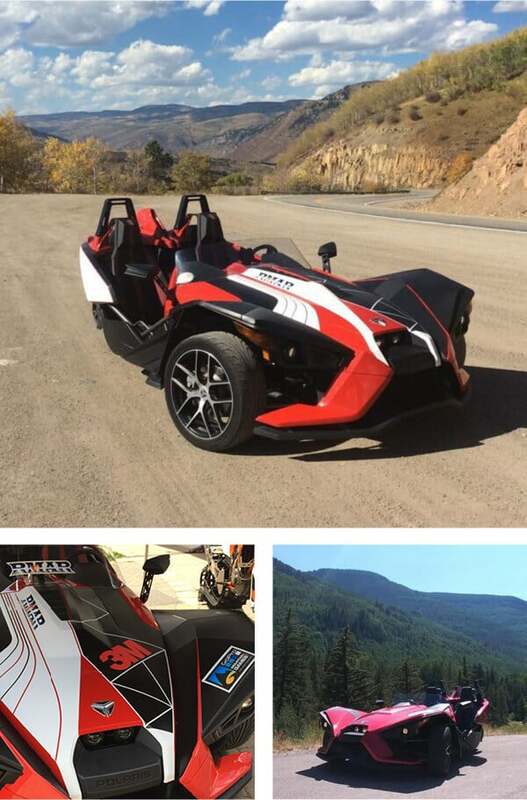 From cruising through Glenwood Canyon to climbing over Independence Pass, the Slingshot gives you the freedom to cover a lot of ground quickly. The learning curve to drive the roadster is short and when you first sit in the driver’s seat it may remind you more of a go-kart than a high-performance vehicl. If you’re looking for something new to do, this 3-wheel motorcycle machine has your name written all over it. 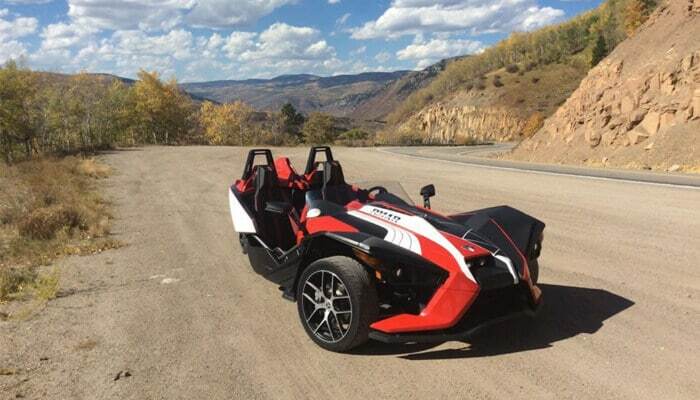 Give us a call today to reserve your Polaris Slingshot Rental. If you’re wondering where to go in Colorado, you can visit our section on Colorado Driving tours which will help guide you to some of the best driving routes in the state.